Live Roulette at PokerStars Casino brings all the excitement and drama of a casino roulette table directly to your screen. Follow the action in real-time and chat with your croupier, or take part in our Slingshot Auto Roulette games for fast-paced, live-wheel action. Live Roulette tables offer the chance to play this casino favourite in a range of stakes and styles, 24 hours a day, seven days a week. Check out our PokerStars Casino Roulette table for a truly immersive experience, with every bounce of the ball captured from multiple cameras to put you right at the heart of the action. Head to the Live Casino lobby now and start playing Live Roulette! In Live Roulette, the wheel contains 37 pockets, numbered zero to 36. You can make any combination of bets, on both individual numbers and groups of numbers, and all these bets are placed on the part of the table known as the ‘inside section’. On the ‘outside section’, you can place wagers on a variety of matching pairs of bets, each of which covers 18 numbers. From high or low numbers, odd or even, and red or black, there are a number of different options available. 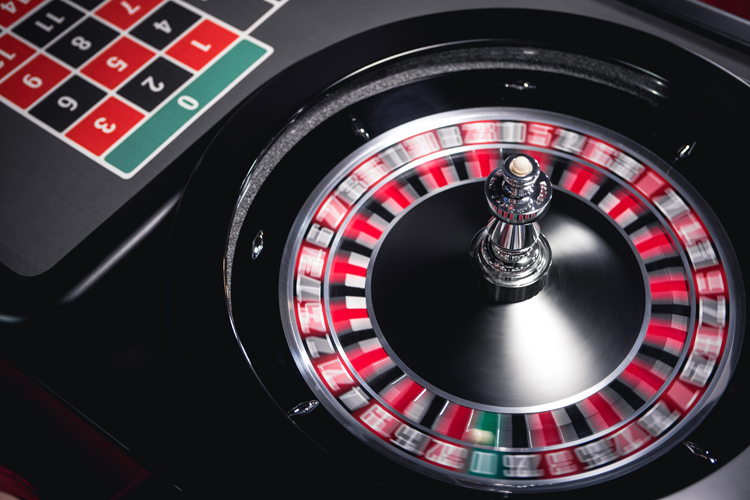 On various parts of a Live Roulette table, you can also choose from six different 12-number bets, or ‘column’ and ‘dozen bets’, as well as different 17-number bets. Straight Up Bet (Pays 35 to 1). Place your bet directly on a single number (including the zero). You will win if the ball lands on that number. Split Bet (Pays 17 to 1). Place your bet on the line between any two connected numbers, either horizontally or vertically. If the ball lands on either number, you will receive a pay-out. Street Bet (Pays 11 to 1). Place your bet on the line of one of the horizontal rows (contains three numbers). Should the ball land on any of the three numbers, this bet is a winner. Trio Bet (Pays 11 to 1). Place your bet on a three-numbered corner that includes the 0; you'll bet on either 0, 1 and 2 or 0, 2 and 3 and win if any of these numbers hit. Corner Bet (Pays 8 to 1). Place your bet in the corner of where four numbers meet. Your wager covers all four numbers. Line Bet (Pays 5 to 1). Place your bet on the corner of two streets (two connected horizontal rows). Your wager covers six numbers. Red/Black (Pays 1 to 1). Place your bet on the Red or Black box to cover the 18 red or black numbers. Odd/Even (Pays 1 to 1). Place your bet on the Odd or Even box to cover the 18 odd or even numbers. High/Low (Pays 1 to 1). Place your bet on the 1-18 or 19-36 box to cover the low or high numbers. Column Bet (Pays 2 to 1). Place your bet on one of the '2 to 1' boxes at the far end of the table to cover all of the numbers in that column. Dozen Bet (Pays 2 to 1). Place your bet in one of the boxes marked "1st 12", "2nd 12", or "3rd 12" to cover the 12 numbers in that section. The theoretical return to player (RTP) for Live Roulette is 97.30%. Did you know you can play Live Roulette for real money, or try it for free with our play money version – click here to choose which version you want to play. Find the table that suits your preferred style, language and stake limit. Table options include Immersive Roulette, which provides multiple cameras covering every bounce of the ball in high-definition; Private Roulette, available only to our players, with exclusive offers; and much more. When prompted, you will be able to place all your chosen bets for the next round of roulette. After you have placed your bets, the roulette table will display up to 10 of the highest possible pay-outs that can be awarded, based on the numbers you have chosen. You can also play Live Casino Roulette, as well as other Live Casino games, on your iOS or Android phone and tablet. See here to find out more. For more on how to play the game, visit our Live Roulette Rules page. See here for more about our regular Roulette games.